Hostels have embraced style inside and out: they now have large rooms, original and stylish design, on-site bars, and rooftop pools to rival any hotel. They are the best way of exploring a city for millennials and other curious minds. 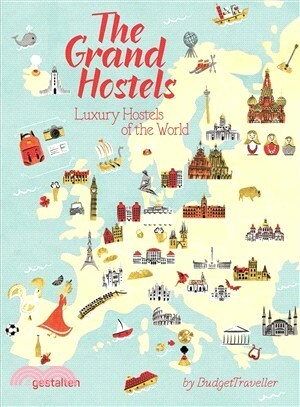 The Grand Hostels tells sto- ries of the luxury of memorable experiences: learning about local habits, finding discount- ed activities, drinks offers, free meals, and amazing staff. It documents this new trend and opens up a new world of travel and ex- periences for travelers who eschew the mun- dane, bland, and insipid world of chain hotels. The Grand Hostels revolutionizes travel for the stylish, design-led, budget-conscious traveler. Not just the journey but the place you choose to stay should be an adventure.